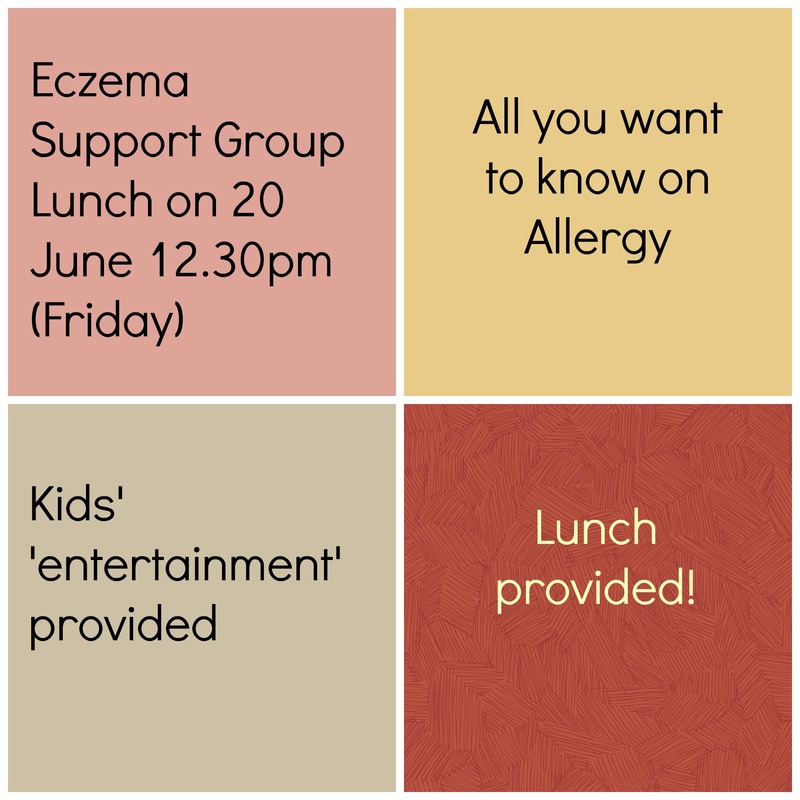 Last Friday’s lunch with the parent-child eczema support group at the Singapore National Skin Centre was an informative, relaxed and enjoyable session. We had a mix of people of different ages and 3 kids who came. The children were all very well-behaved and puzzles, toys contributed by a participant kept the children happy and busy! 1. If it is a true allergic reaction, only a little is needed to trigger it and the reaction would be consistent. 2. Allergens can enter the body through environment as well as through the blood (for food). 3. Immune system grows to be more tolerant of certain allergens, thus the term ‘out-growing’ of certain food allergens. Dr Madeline Ho, another doctor on the support group’s advisory panel further shared that certain food allergens are more commonly outgrown than others, for instance children tend to outgrow cow’s milk, eggs but less likely to outgrow peanut allergy. 4. Various allergy tests are skin prick test, IgE blood test and patch test. It was good that Dr Tang had the time to explain many of the participants’ queries/concerns and our nurses (you know who you are, for privacy didn’t state your names) were ever so supportive, not forgetting NSC staff who helped with the logistics and ordering the yummy lunch! Thank you everyone for making my last Friday lunch a lovely time. Life of Eczema Girl – What is my Talent?